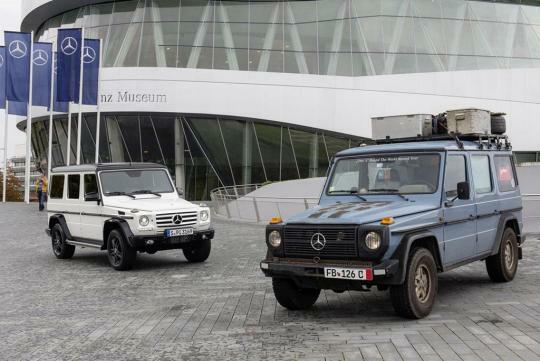 Mercedes-Benz is celebrating the 35th anniversary of the rugged G-Class with a limited-edition model appropriately dubbed 35 Edition. The company announced and detailed the SUV a few weeks ago, but it has just published the first official high-res pictures of it. 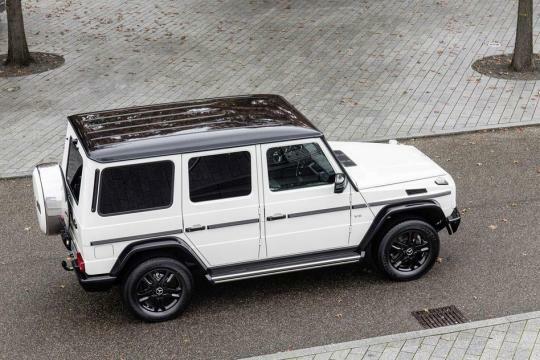 Offered exclusively in black, white or gray, the 35 Edition stands out from a stock G-Class thanks to gloss black bumpers on both ends, blacked out headlights and five-spoke 18-inch alloy wheels. All models come standard with the Chrome Package and the aggressive-looking Sport Package that is available as an option on regular-production Gs. The cockpit has been similarly upgraded with a four-spoke AMG sport multi-function steering wheel and black Nappa leather on the seats, the door panels and the dashboard. A color screen mounted on top of the dashboard runs the latest generation of Mercedes' COMAND infotainment system, while real carbon fiber trim on the center console and the passenger grab handle rounds out the interiors updates. 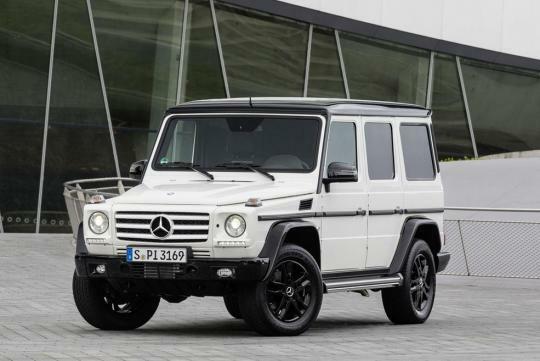 35 Edition buyers can choose either the G350 BlueTEC or the G500. 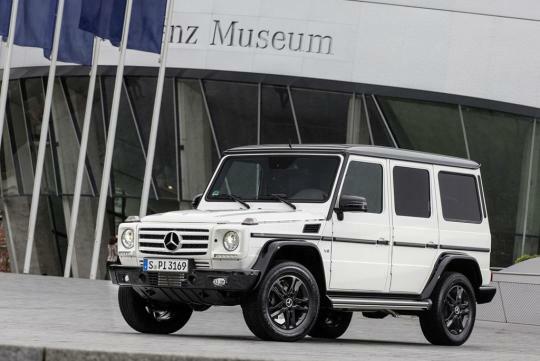 The G350 is powered by a 3.0-liter diesel-burning V6 engine that sends 211 horsepower and 398 lb-ft. of torque to all four wheels via a seven-speed automatic transmission. The oil-burner propels the behemoth from zero to 100km/h in 9.1 seconds. 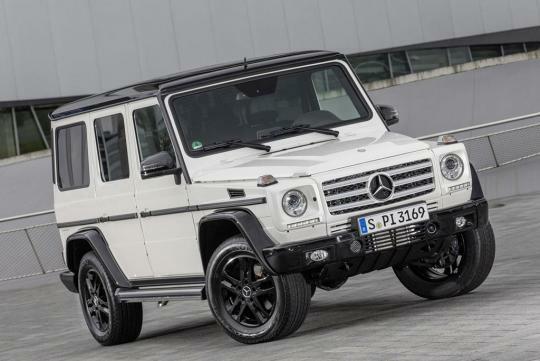 The more powerful G500 packs a 5.5-liter V8 tuned to generate 387 ponies and 390 lb-ft. of twist. Fitted with an eight-cylinder, the G takes 6.1 seconds to reach 100km/h from a stop and it goes on to a top speed of 247km/h. One of my favorite SUVs ! the exterior and interior just don't match!